We had Mal years before we had JaiseAnn. 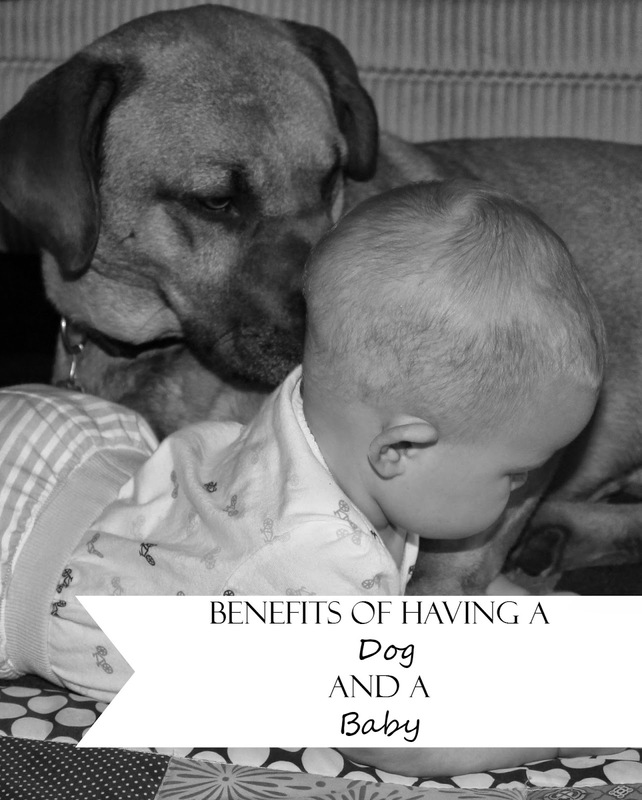 People would often comment about sharing a home with a dog and an infant. When JaiseAnn was just a brand new baby, some family members would worry about Mal getting too close. They were worried about him being dirty or wanting to hurt her or a number of different things. From the beginning, JaiseAnn has been drawn to Mal but she would hit him or poke him when trying to show her adoration for him. We had to teach her to be "soft" and "pet him nice." She has learned to pet him and to give him hugs and kisses. We love that she has been taught from a young age to show kindness to animals and living things and not to hurt them. Many children are afraid of animals when they come across them. While there are some animals that are not kind or safe to be around, many are. I find it unfortunate when little kids get scared when they see animals. I will have to teach JaiseAnn that not all animals are safe like her dog, but that if we ask the owner if it's okay to pet the dog, we can. JaiseAnn won't be afraid of animals and will know how to react when encountering other animals early on. It might be gross, but it's true. Toddlers are messy eaters and Mal often loves to hang out during JaiseAnn's meal time. We still sweep and mop the kitchen, but we really appreciate the surface level cleaning Mal provides. One of my absolute favorite things about having a dog is watching JaiseAnn interact with him. It's no surprise that "dog" has been her first word and it's what she wakes up repeating every morning. She took to her dog almost immediately, but to watch the relationship flourish just melts my heart. She pets him and gives him "love" and relaxes for the two seconds that she stops moving and sits back on him. She gives him her food and looks for him through the window when he's outside. She is learning so much about love and friendship just by having a dog. Do you have a pet? How do you feel about children and pets?